“Om Purnamidam. I turn unpredictability into a creative possibility." 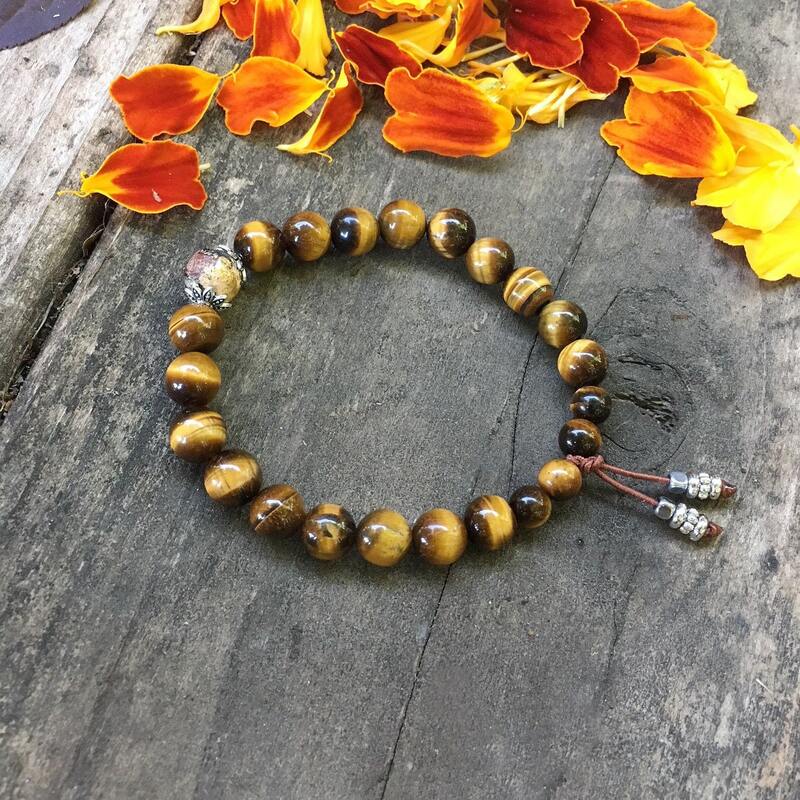 The Personal Power Mala Bracelet features luxurious high grade Tigers Eye gemstones along with a gold-dipped clay bead (handmade by monks) to help you clear the mental cobwebs, tap into your inner truth and give you personal strength and courage. Time to take your power back. Tigers eye promotes mental clarity, increases self understanding, brings issues into perspective and assists with problem-solving by un-clouding your emotions. It is widely associated with the solar plexus, known around the world as a confidence and self-esteem booster. High grade natural gemstones, strung on strong elastic stretch cord. One size fits most. Custom sizing is available.